Beaverton, Ore. - The International Water Association (IWA) has announced that Puralytics®’ SolarBag® will receive its Global Honour Award for Drinking Water Supply (Hardware Category) for its innovative solution to providing access to safe drinking water. The IWA will present its 2013 Project Innovation Development Awards Oct. 15 in Nairobi. 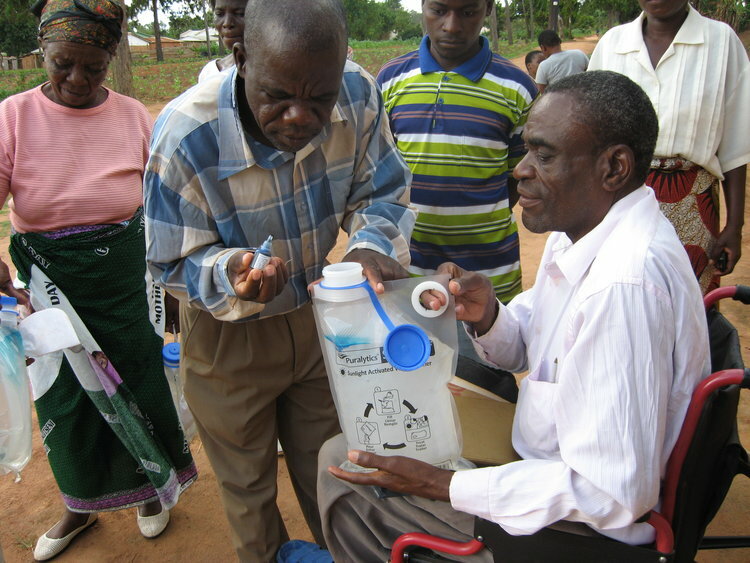 The award will jointly recognize Puralytics and Good Samaritan Ministries for their combined work to implement and administer this uniquely successful drinking water project across Peri-urban Malawi. The SolarBag, developed by Puralytics, is a reusable water purification device that uses a sunlight-activated nanotechnology to produce up to 9 liters of safe, drinking water each day. Its award-winning design has the broadest contaminant protection available, removing heavy metals, destroying chemical contaminants like pesticides and petrochemicals, while also eliminating bacteria, viruses, and protozoa while exceeding EPA water purifier standards. As such, the 3-liter SolarBag is the only non-powered, non-chemical device that actually meets both the World Health Organization (WHO) standards for safe drinking water and the SPHERE international guidelines for individual daily drinking water quantities. User training proved to be very successful, resulting in only four reported cases of improper use in four villages. Product adoption showed the SolarBags were used multiple times per day over a 9-month period since late 2012, with 92 percent of the SolarBags continuing to function normally. More than 82 percent of the users said they drank more water after receiving their SolarBag and 89 percent claimed they felt sick less frequently. More than 91 percent acknowledged boiling less water for treatment, reducing their expenses for fuel and more than 96 percent said their water tasted and smelled better after using the SolarBag. The SolarBag is easy to use. Users need only fill the SolarBag with water and leave it exposed to the sun for a few hours, allowing it to be used multiple times per day. The empty bag can be stored for up to 7 years and can be reused hundreds of times, making it ideal for both emergency response needs and as an ongoing, affordable solution for rural or remote situations.